Built from heavy-duty aluminum facing that is laminated to durable, exterior-grade plywood, Nu-Alum signs are a modern, high-quality signage option for all of your commercial needs. 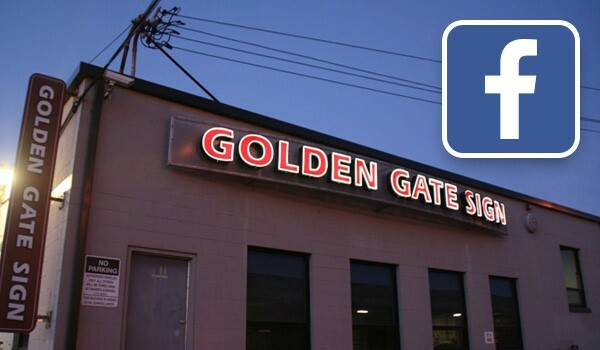 From stand-out exterior signage to customized signs for the interior of your business, Golden Gate Sign Company offers full-service support to create the quality Nu-Alum sign products that you need to support your San Francisco company. Since 1969, we’ve been a top name for innovative fabrication and guaranteed service, and our professional designers and installers always go the extra mile to exceed your expectations. Every step of the way, Golden Gate Sign Company works to make the process of creating your Nu-Alum signage a seamless, hassle-free process. Starting with an in-depth design consultation, you can choose the materials, graphics, and style of your Nu-Alum composite signs to get a one-of-a-kind piece that is customized to the branding of your business. Design Flexibility: Nu-Alum signs are ideal for standard paints, inks, and vinyl graphics, and you’ll work with a professional designer to create a custom sign that works for your needs. Custom Construction: Choose from single- or double-sided Nu-Alum signs based on the application of your business, and enjoy long-term strength with a plywood or HDPE backer. Full-Service Installations: From permit procurement to expert installation and long-term, ongoing maintenance, we are the one-stop shop for servicing your Nu-Alum signage. Guaranteed Quality: With our in-house fabrication services and full-service design and installation offerings, we stand behind the quality of all of the work that we do. When you’re searching for a versatile sign that is beautifully designed and engineered to hold up to extreme elements, there’s no better choice than Nu-Alum signs from Golden Gate Sign Company—your trusted choice for all Bay Area signage needs. Learn more about our business and the premium products that we offer by giving us a call today, or request a free estimate and consultation now by filling out our simple, online quote form!